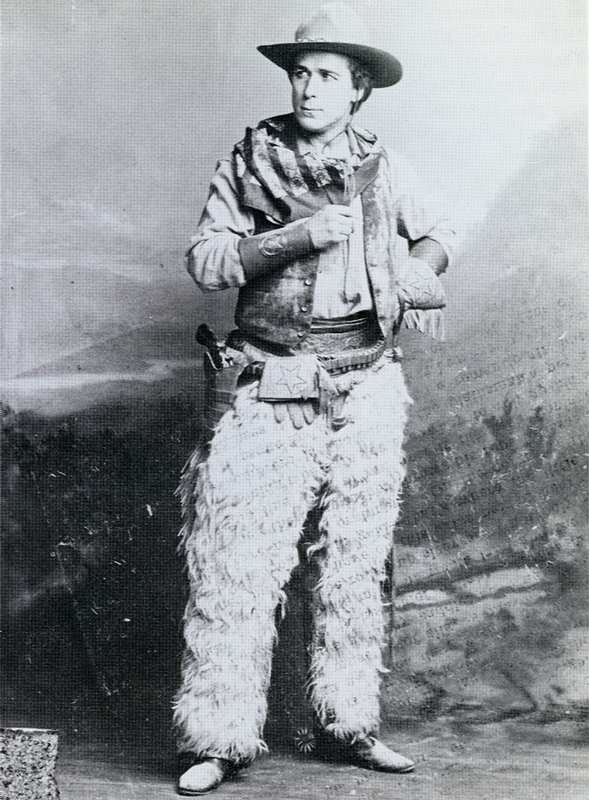 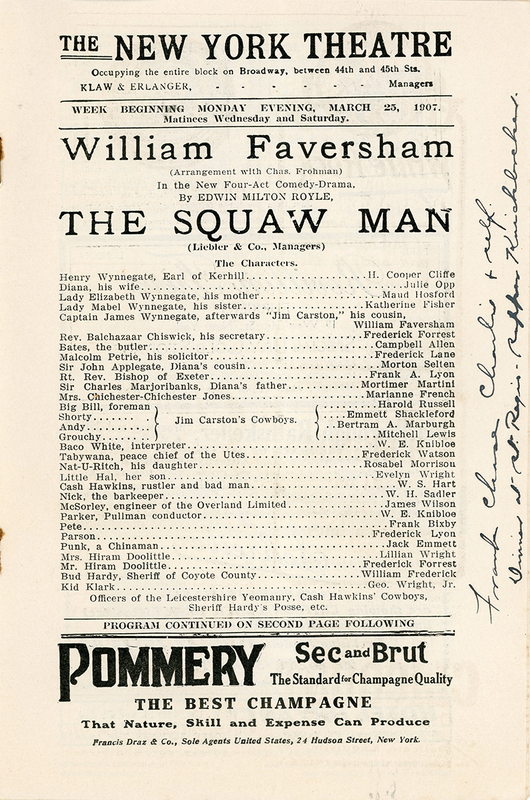 SCVHistory.com | 28-Page Program Book: William S. Hart as Cash Hawkins in 'The Squaw Man,' New York Theatre, Week of 3-25-1907. 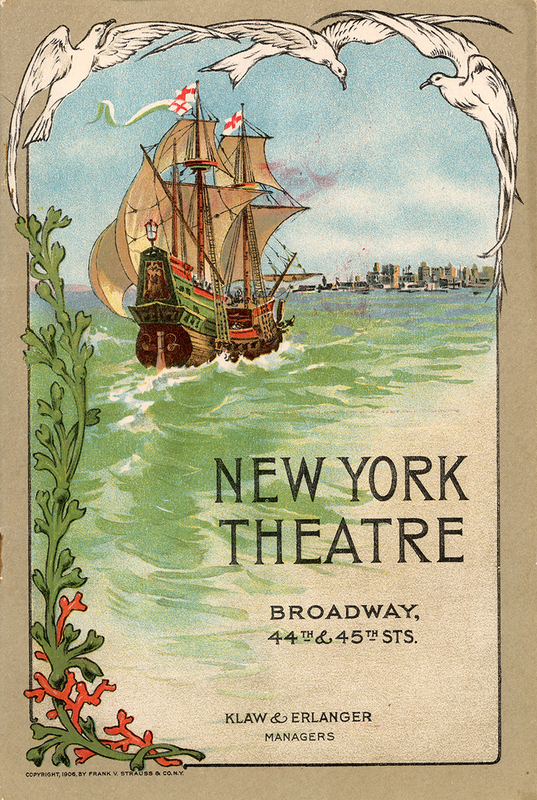 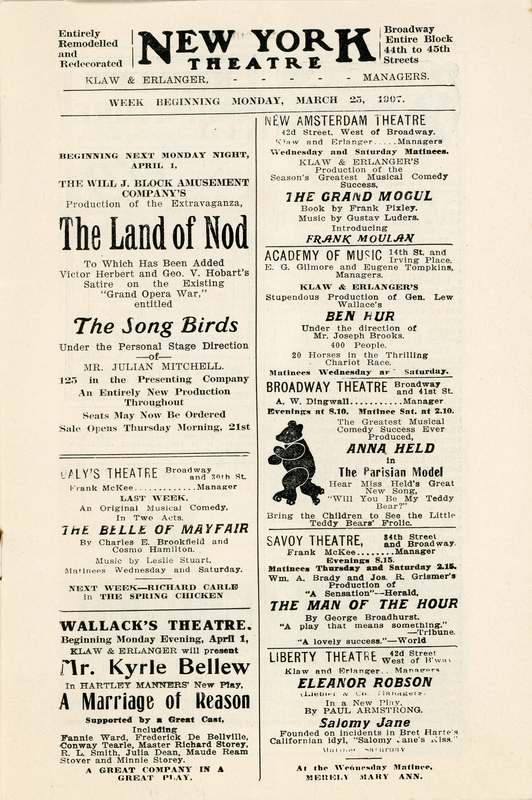 Program book for the Liebler & Co. production of "The Squaw Man" at the New York Theatre on Broadway between 44th and 45th streets in Manhattan. Program for the week of March 25, 1907, near the end of the play's initial 2-year production run. 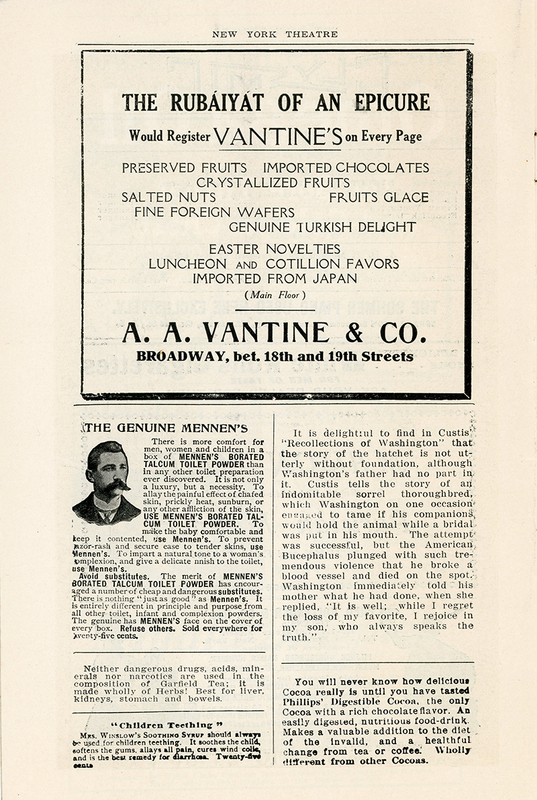 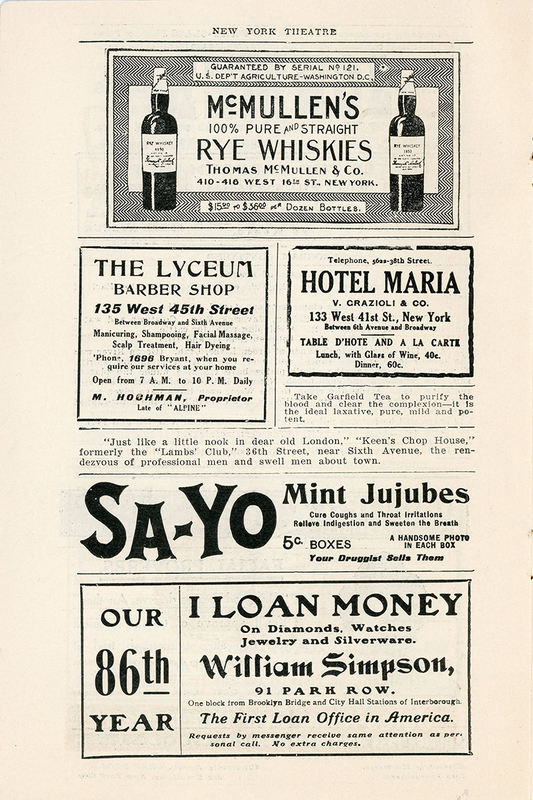 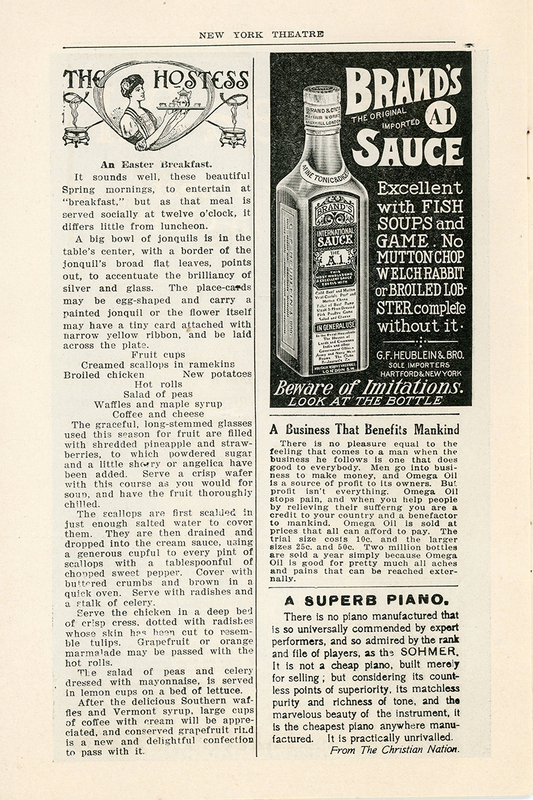 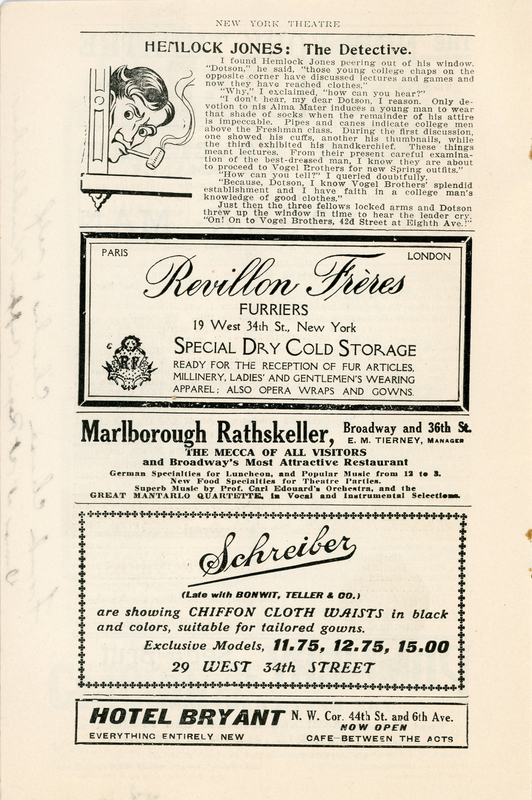 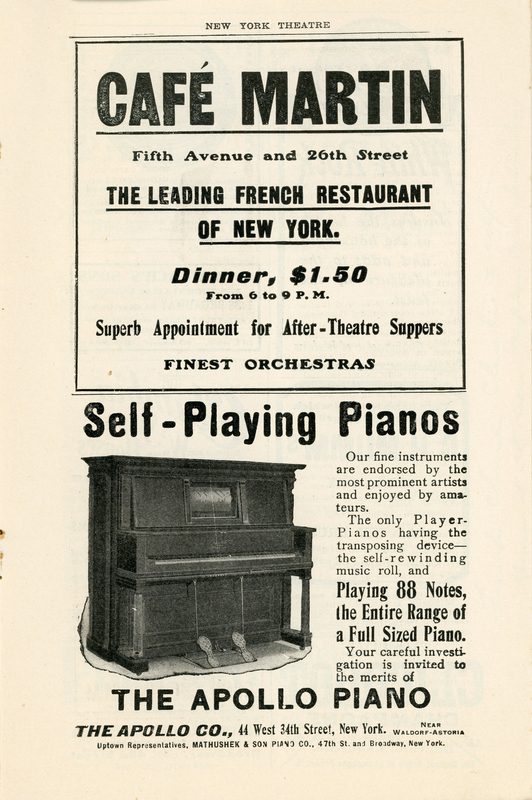 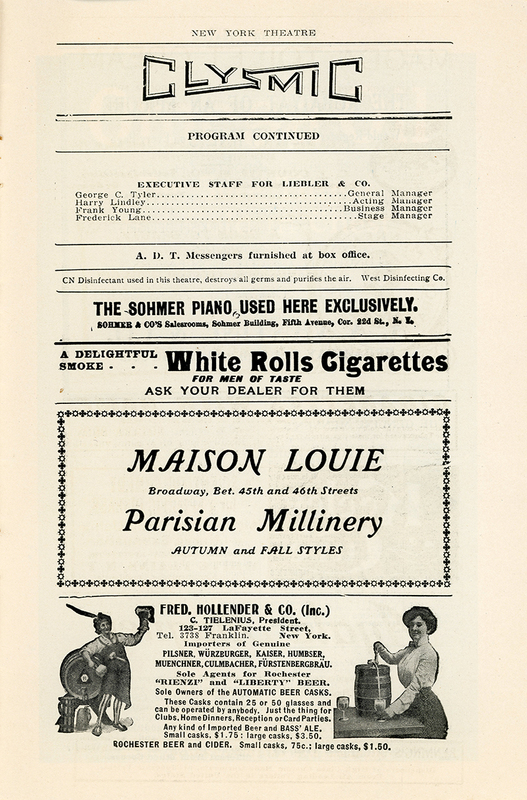 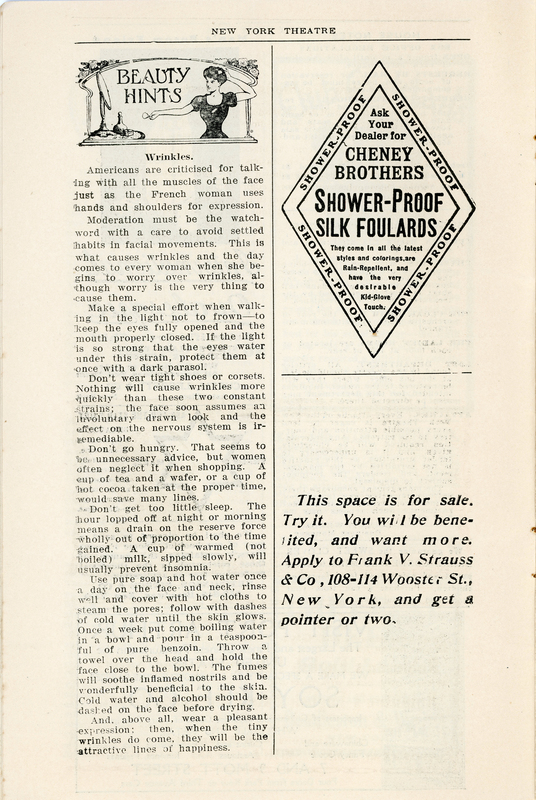 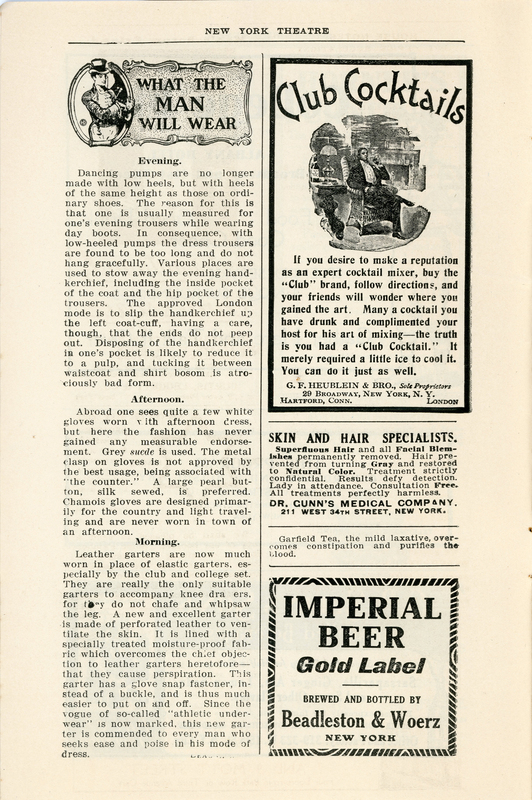 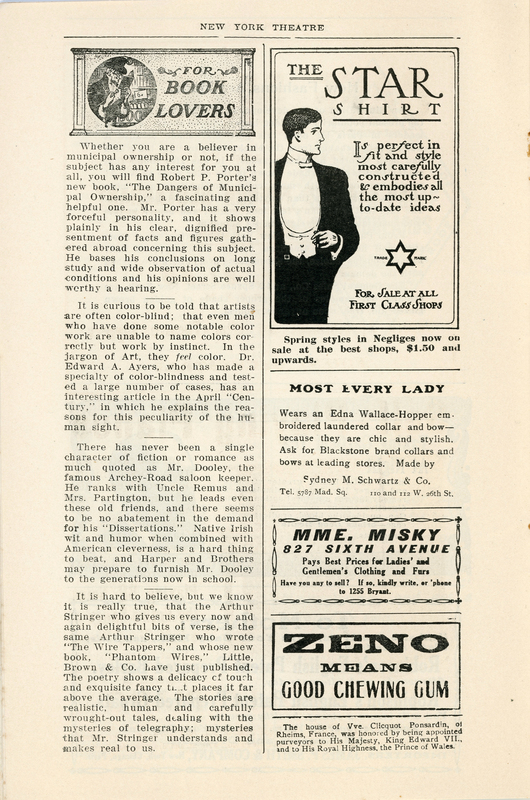 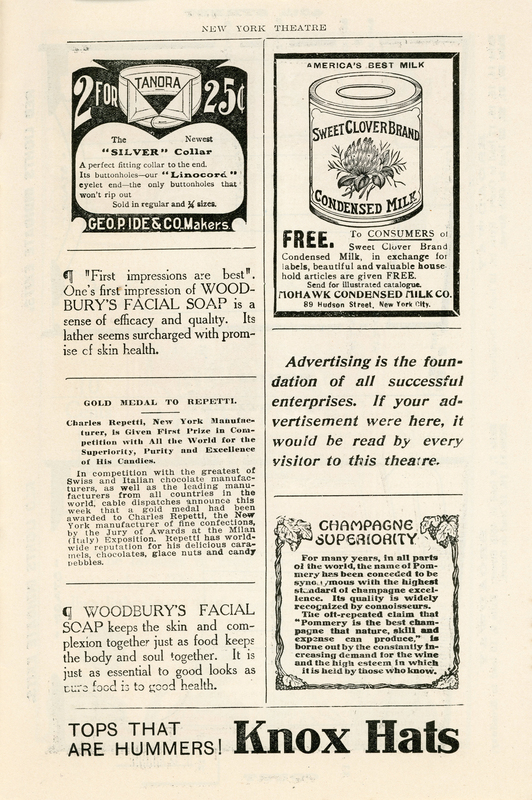 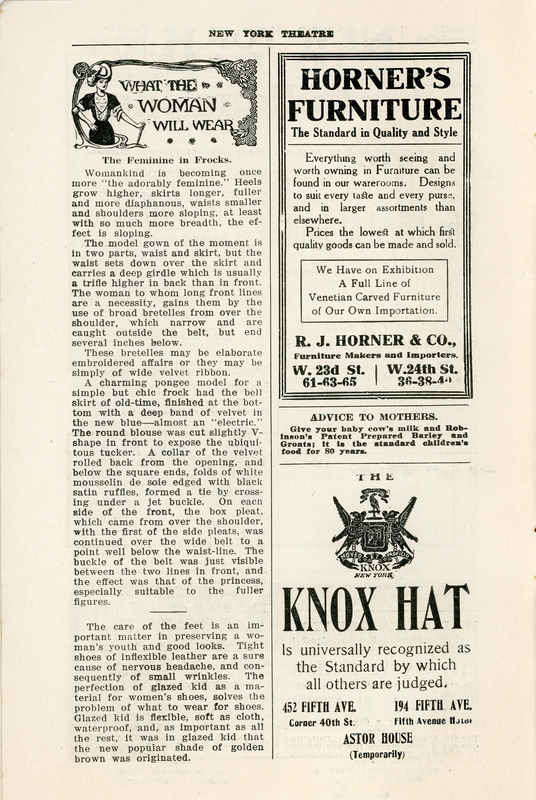 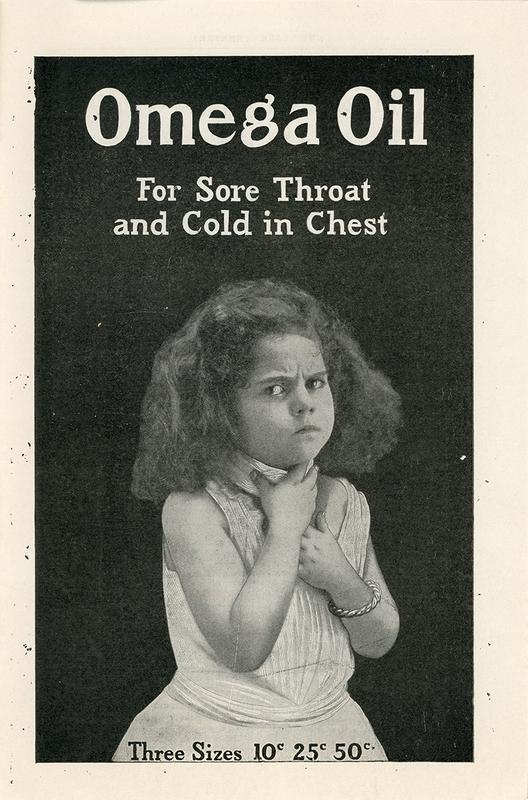 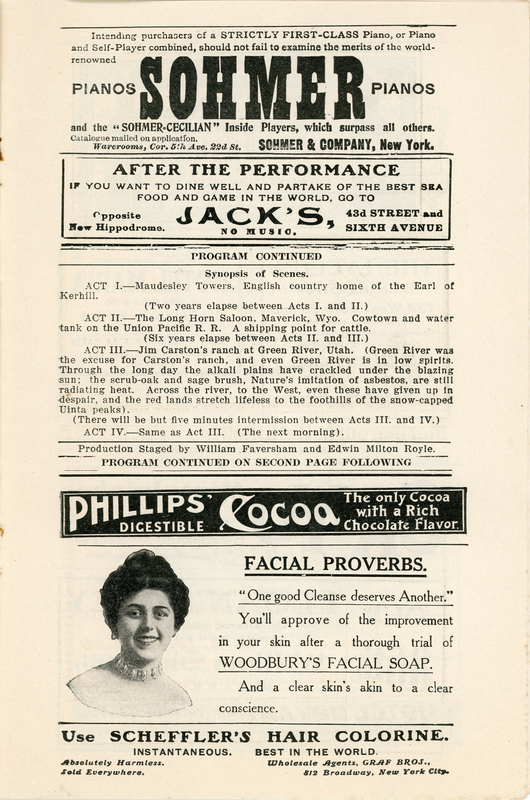 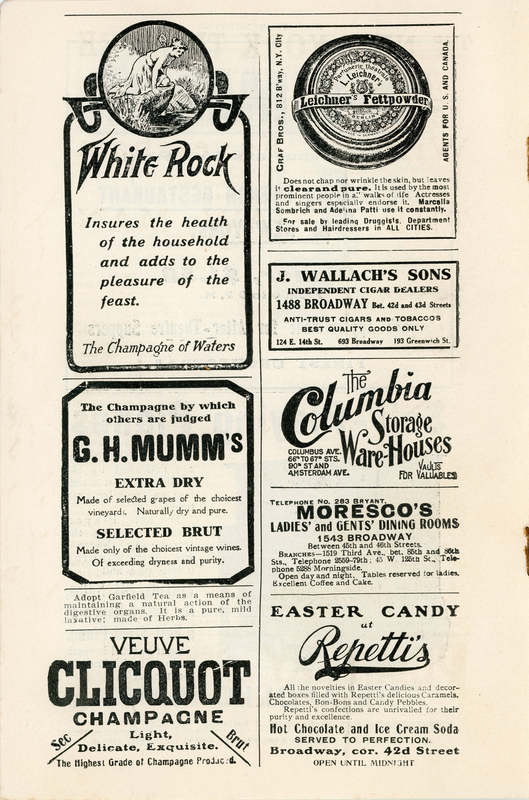 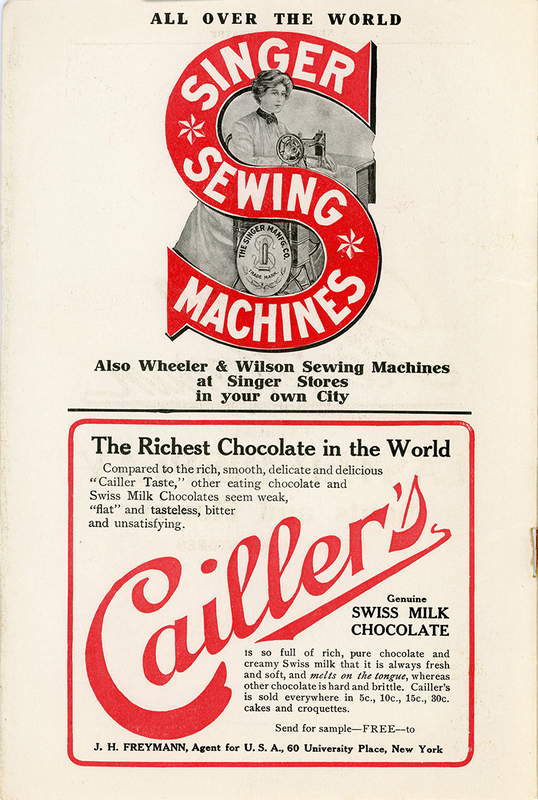 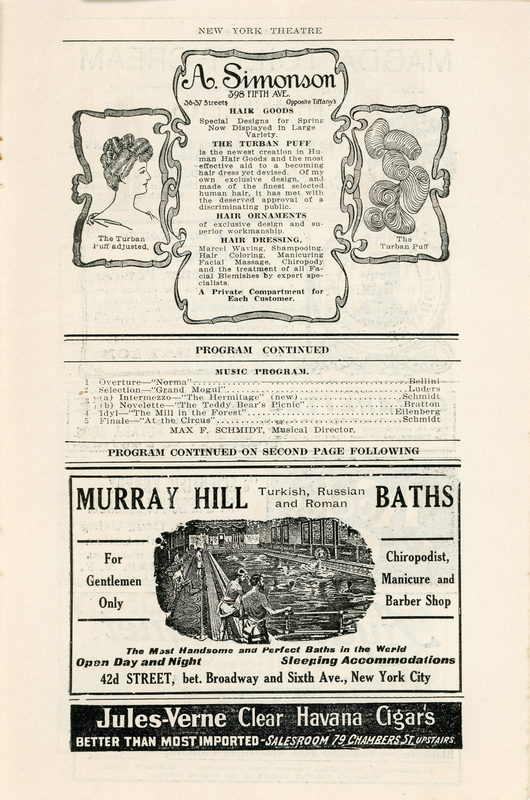 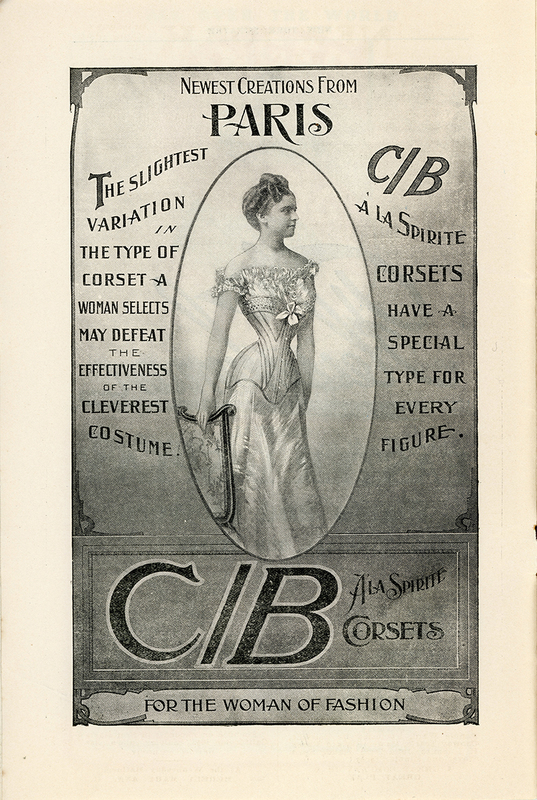 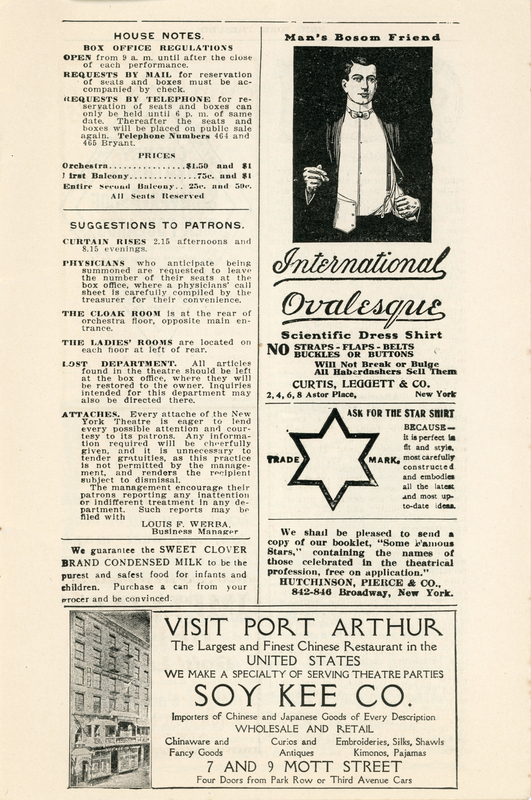 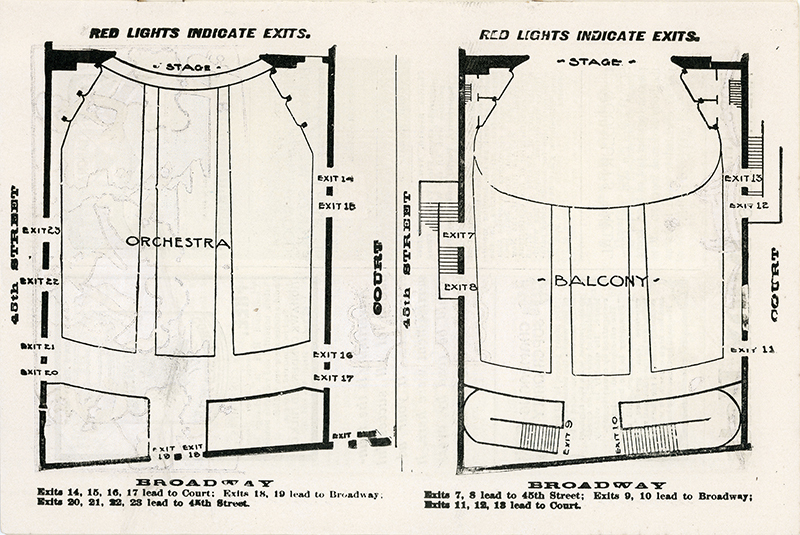 Program published by Frank V. Strauss & Co., 108-114 Wooster Street, New York. 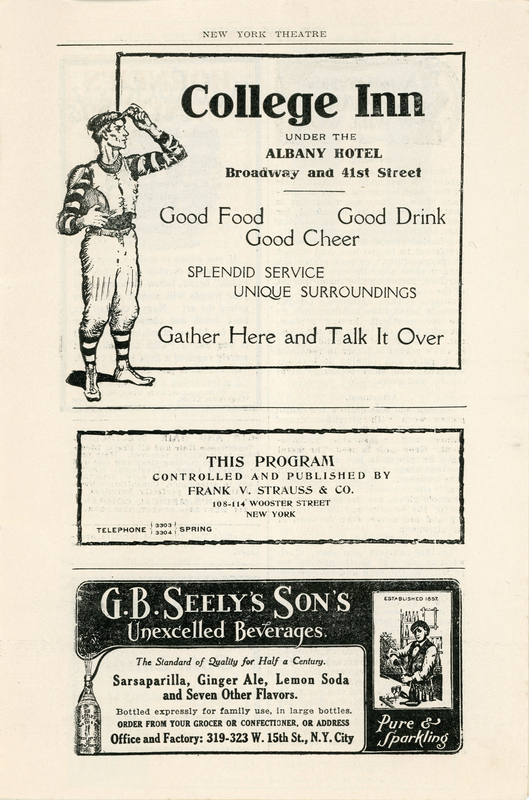 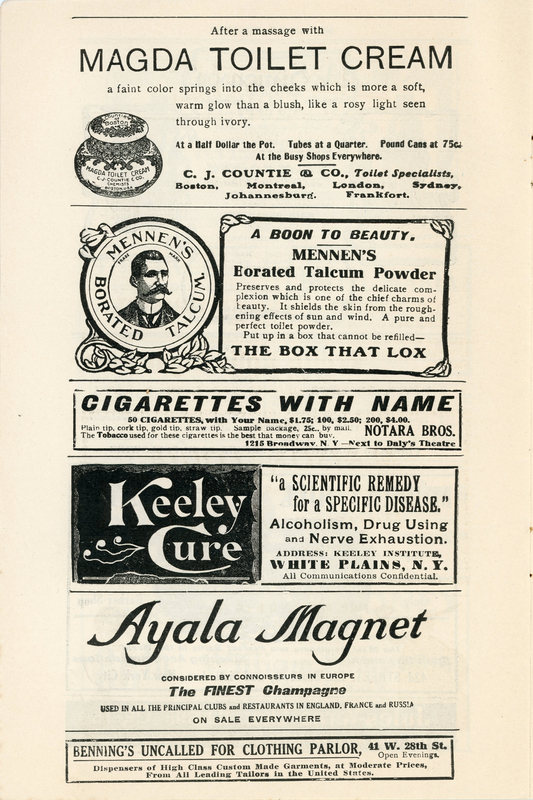 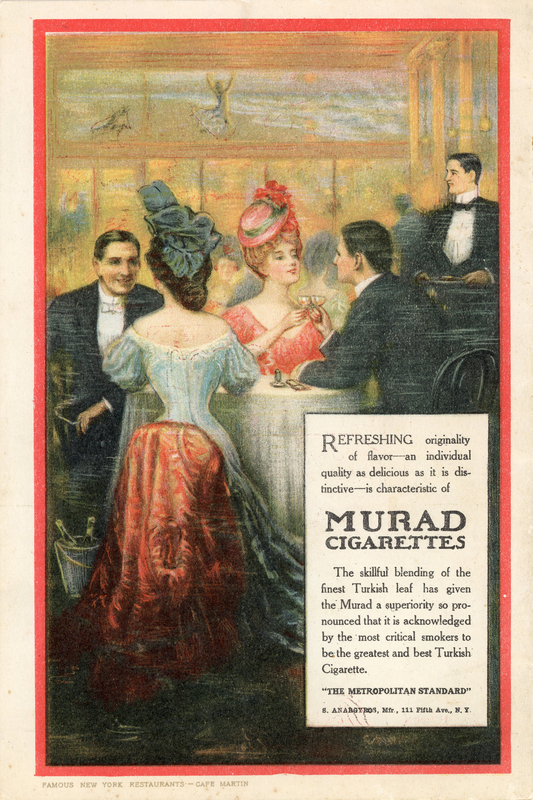 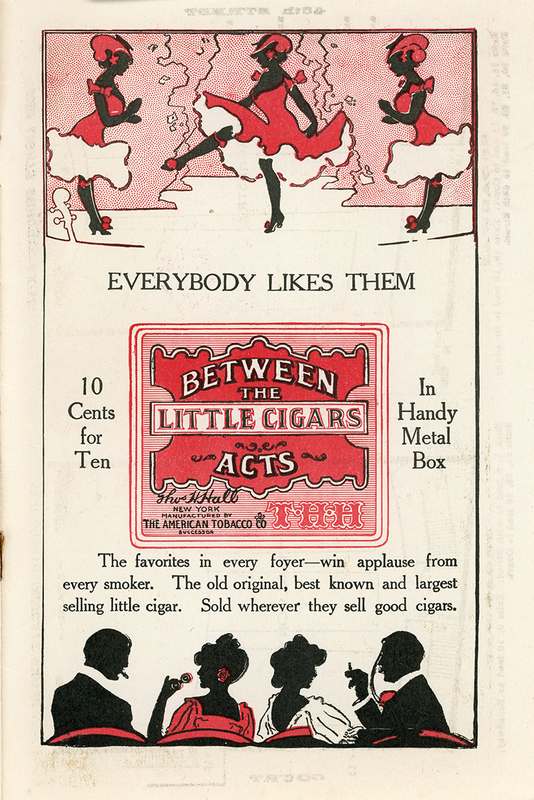 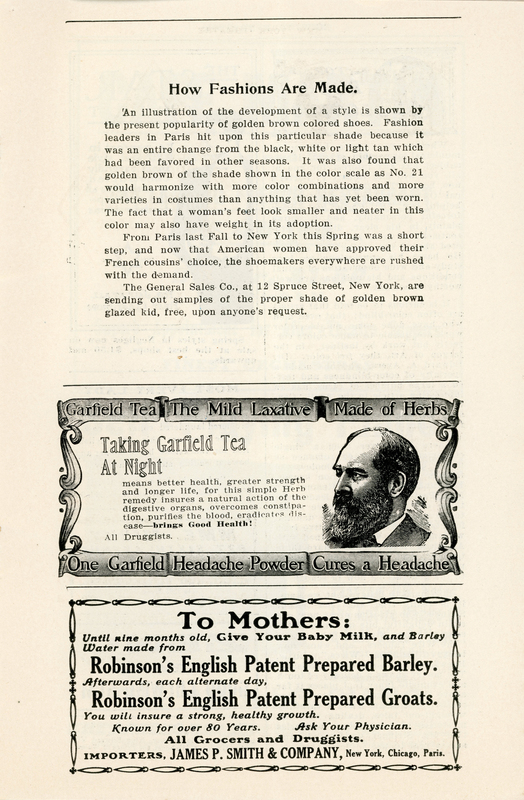 A handwritten note on the bill suggests the original user of the program book had dinner at the (1904) St. Regis Hotel and supper at the new (1906) Knickerbocker Hotel. 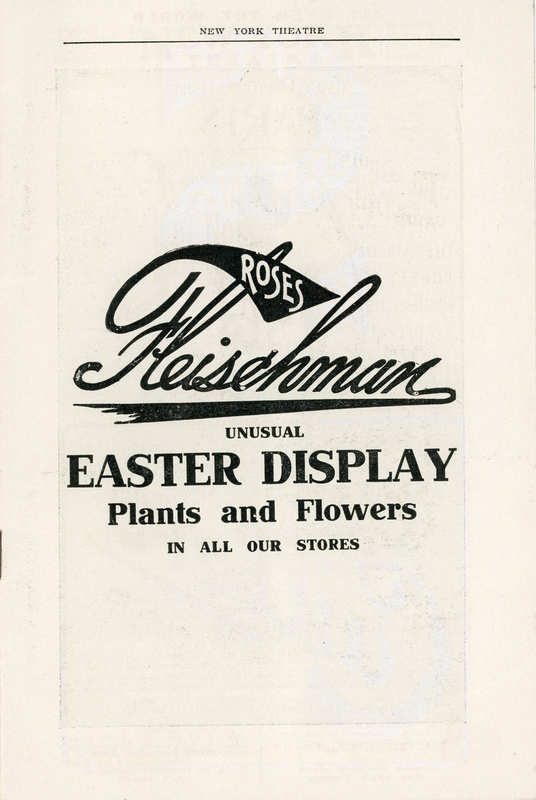 LW2836: 9600 dpi jpegs from original program book purchased 2015 by Leon Worden.